Kowabunga, Dudes! 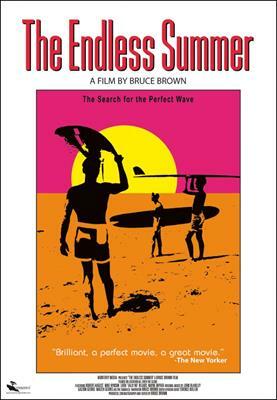 Chatham Marconi Maritime Center’s Classic Movie Night 2018 features Bruce Brown’s masterful 1966 surfing documentary The Endless Summer. It’s amazing how many folks 'of a certain age' happily recall seeing The Endless Summer on the big screen. Countless more have enjoyed it on videotape or DVD over the years. Once you’ve heard that score by the Sandals, it sticks in your head along with the great visuals. This is the first showing of The Endless Summer on the Orpheum’s big screen, so please join us for a fun evening at Chatham’s 'Opening Night'! Wear your favorite surfer dude or dudette attire and pose for a photo. Tickets are $25 per person, available through the Chatham Orpheum Theater’s online or in-theater box office. Come early and have dinner at The Orpheum Cafe! Our event begins about 7:00 PM. Or whenever the boards are waxed… For the show, soft drinks and popcorn (of course!) and desert treats are on us. See Brandi at the Orpheum Cafe bar if you want the hard stuff (Dutch treat). Show time at 8:00 PM. Surf's Up! The Chatham Marconi Maritime Center's mission celebrates the rich history of 20th Century maritime radio and explores the innovative advances in science and technology that continue to transform our lives. Chatham Marconi operates the unique Marconi-RCA Wireless Museum and conducts innovative STEM education programs for youth. Later, dudes! And save your ticket stub. Each one is a Guest Pass admitting one Classic Movie Surfer to the Marconi-RCA Wireless Museum. Come learn about other kinds of waves!